Best wishes for an enjoyable Thanksgiving holiday this Thursday! Take a look at our Catalan-style turkey and stuffing recipe below, which will add amazing Iberian flavors to the traditional American feast. 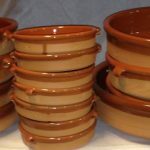 And be advised that we have all sizes of clay cookware for baking the turkey, side dishes or heating up leftovers. If you are preparing recipes for Thursday’s big meal, we are here to help until 6:00 p.m. Wednesday, November 21. We’re fully stocked with specialty ingredients for tapas or hors-d’oeuvres, wines including sparkling, sherry, port, and cider, not to mention cured meats and cheeses. If time is limited, consider ordering sliced meats and cheeses in advance on www.parismadridgrocery.com (click the “Order and Pick Up” button) to get started. We just need an hours notice to prepare your items. 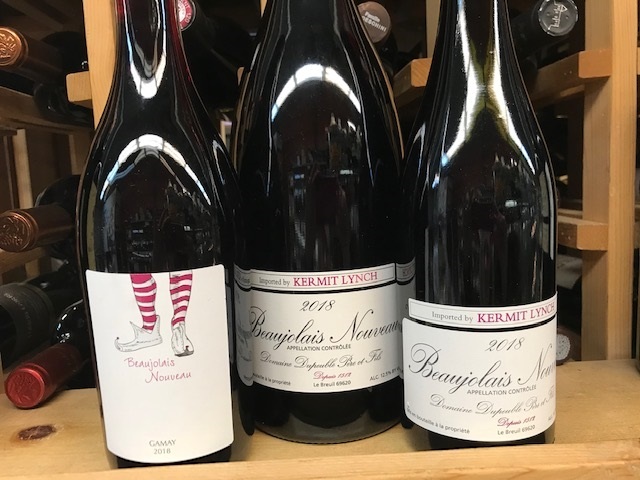 The shop will be closed Thanksgiving day and reopens Friday, November 23 at 10:00 A.M.
A recent trend that we applaud is the return of real Beaujolais Nouveau. 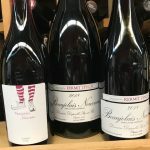 Released with much fanfare annually on the third Thursday in France, which coincides with American Thanksgiving, Beaujolais Nouveau has proved to be a fantastic turkey wine. This year we brought in Beaujolais Nouveau from two producers. Domaine Dupeuble’s Nouveau is a natural wine, made with whole cluster fermentation and indigenous yeasts. Vignobles Bulliat is a biodynamic producer and makes wines without chapitalization or filtering. These two wines are light years away from the souped-up, soda-pop style that tarnished the reputation of Beaujolais Nouveau. With only 12.5% alcohol, they offer refreshment and not a headache. Beaujolais Nouveau’s lightly fruity and bright acidity refreshes the palate and balances the richness of Thanksgiving’s gravies, stuffing, and appetizers. They improve with time in the bottle, so if there’s any left after Thanksgiving, cellar it for a couple of months and enjoy! Domaine Dupueble Beaujolais Nouveau 2018 ($19.99/750 ml; $38.00/1500 ml). 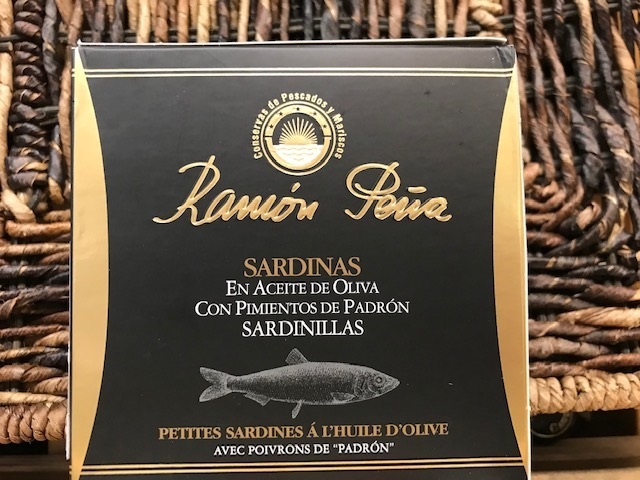 Ramón Peña Sardinillas with Padron Peppers: These small sardines are collected off the coast of Galicia during the peak of sardine season. Grilled and roasted in-house, they are packed with Padron peppers which enhances the sardine’s natural flavors. Serve with toasted bread and don’t skip the canning liquid, which takes on a rich flavor from the sardines and peppers. 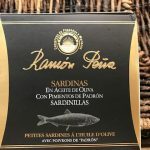 We’ve also got Ramón Peña Navajos (razor clams) in stock. Bajamar medium-size white asparagus. For a special meal, a bigger spear of asparagus just seems right. Puree piquillo peppers and drizzle over the spears for a delicious and colorful salad. Olives are a must for any food-related occasion. We have probably the largest selection of Spanish and French olives in Seattle. 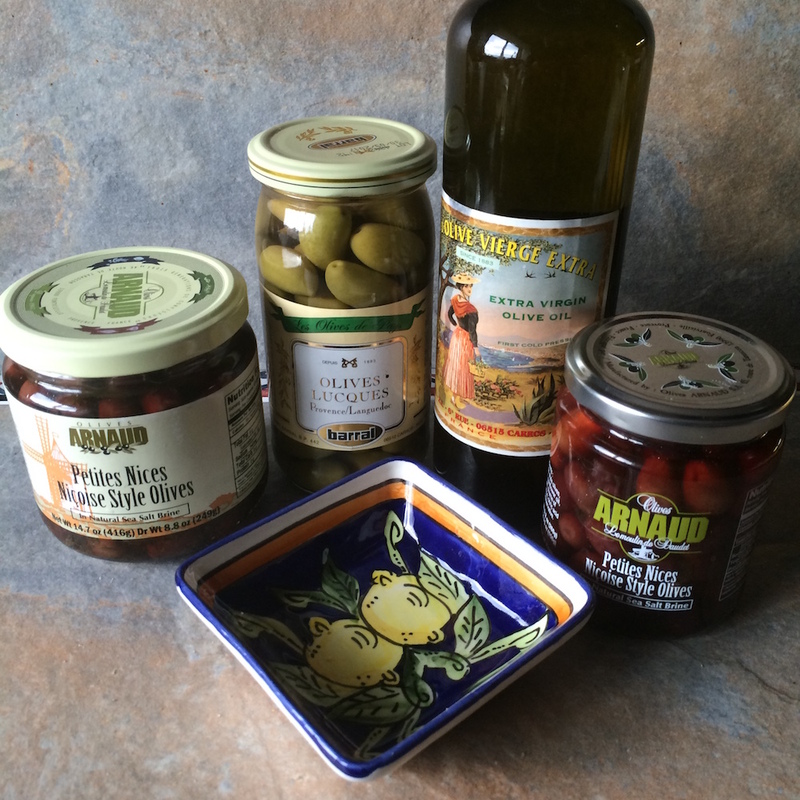 Aside from our favorites Ybarra and Spanish Table lemon-stuffed olives, we love the Losada and Barral brand olives. Losada olives are made in Andalucia, Spain where olive groves sweep across the horizon. We’ve just added pitted Gordal olives, which are enormous green olives, very firm and succulent. These are typically eaten as a table olive due to their lower oil content and are big enough to wear on fingers. Barral olives are from Provence, France and their Lucques Olives ripen early, hand-picked in the month of September. Lucques olives are distinguished by their brilliant green color, crescent moon shape, and thin, curved pit. Their soft exterior and flavors of fresh almonds and avocados have earned them the nickname ‘La Reine des Olives’ (The Queen of Olives). 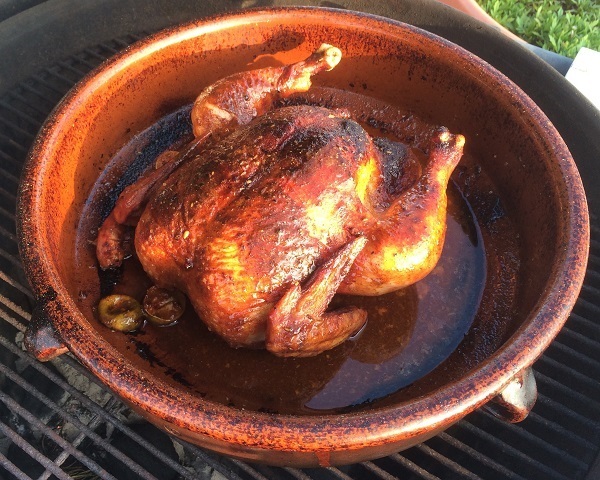 This recipe brings fantastic Iberian flavors to the Thanksgiving table. 1 turkey, size depends upon the number of people being served. Put the salt and saffron in a mortar and use pestle to grind them together. Add garlic, mash to paste and slowly add olive oil. Using a brush, paint the turkey with this mixture. Quarter the orange and lemon and slip them into the bird’s cavity. Put the turkey in a very large cazuela and pour sherry over it. Roast in a hot oven (450º), basting every twenty to thirty minutes with the juices which collect in the bottom of the cazuela. When done, remove the turkey from the pan and set it aside to rest. 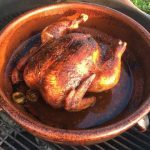 While turkey is resting, pour off the drippings and separate off the fat from the juices, reserving some fat if you intend to make gravy. De-glaze the roasting pan with ½ cup water, then add it to the de-fatted juices. Put the raisins in a bowl and cover with some of the turkey juice to re-hydrate them. Cook the onions in the de-glazed cazuela. Toss with the other stuffing ingredients in a large mixing bowl. Add enough of the juices from roasting pan to dampen the stuffing. Any extra juice can be used if you make gravy. Put stuffing in a cazuela and bake in hot oven, until heated through and surface is crisp. After turkey has rested, carve and serve with stuffing. Have a delicious and relaxing holiday!